Come enjoy a fun evening of 5 Greenbush beers paired skillfully with our chef's creative strolling dinner menu. Greenbush & Firebird swag giveaways, great food, local craft beer all in the historical digs of Greektown. Purchase your ticket here or in person. 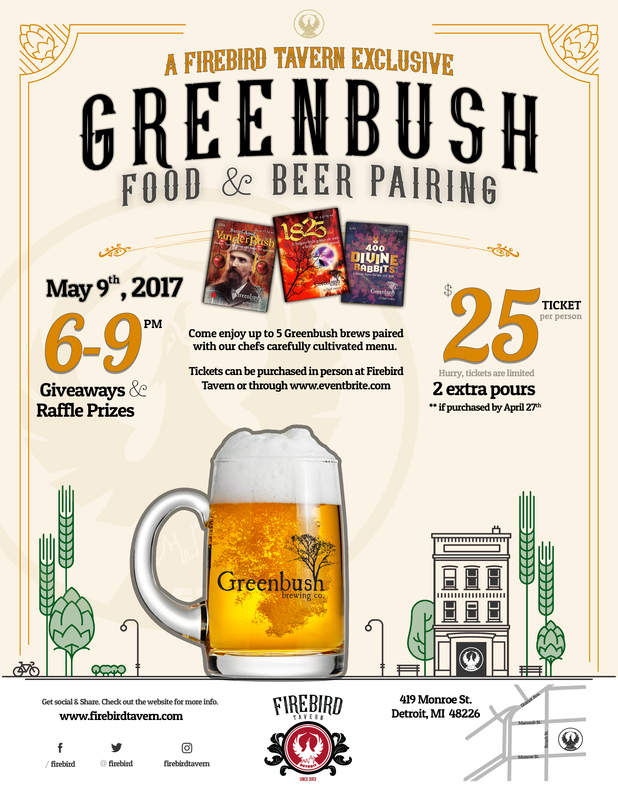 If you purchase before April 27th 2017 you'll receive an additional 2 pours of Greenbush beer for free! Hurry space is limited. Ticket price includes food, beer samples, tax and gratuity.